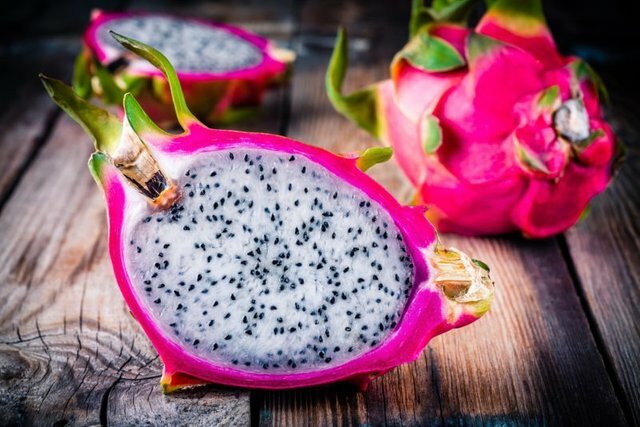 Did you know that there is an actual dragon fruit? No, not the mystical kind 😂😂😂 an actual fruit. Also known as the Pittaya, the dragon fruit is found in Sout East Asia and Central America. The Dragon fruit is rich in vitamin C, B1, B2 and B3, and minerals such as iron, calcium, and phosphorus. Despite its sweet taste, it has an extremely low amount of cholesterol, which aids easy digestion. Dragon fruit is also an excellent source of monounsaturated fats, helping the heart stay in great condition. 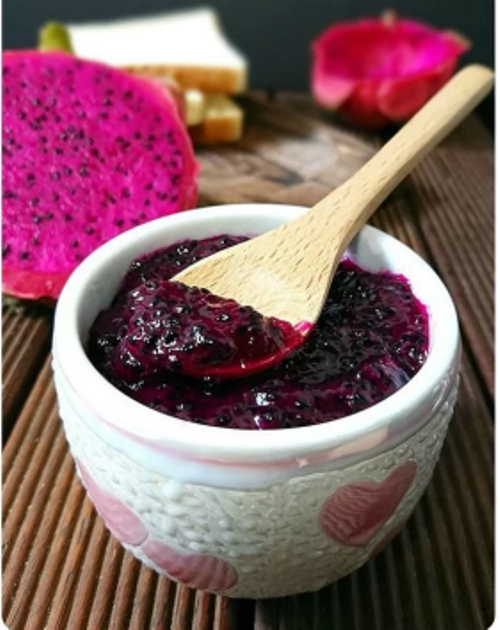 Dragon Fruit has high fiber content, which can assist with poor digestion and constipation. It is also packed full of antioxidants making it an impressive superfruit. The antioxidants free the body of radicals and cancer-causing material. The antioxidants also keep the skin tight and young. You can mix the paste with honey and apply to the skin for fantastic results. Rich in vitamin C, this fruit becomes a great topical ointment. You can apply a slice on the skin to remove acne. Dragon fruit also suppresses arthritis and is an excellent chemical base to treat coloured hair. 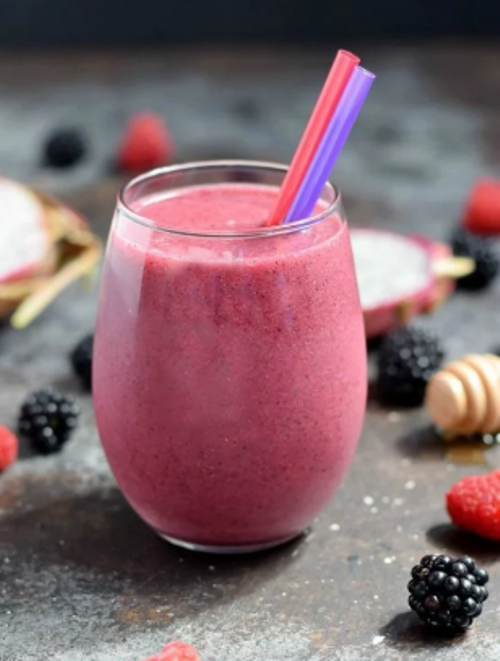 My favourite quality of Dragon fruit... is that it makes one hell of a smoothie. Ever mixed Strawberry and blackcurrant before? yeah..